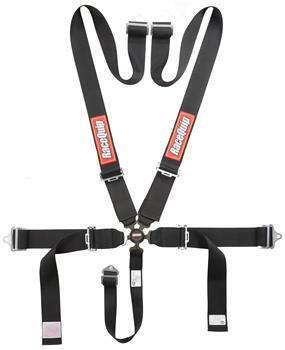 RaceQuip Harness - Camlock 5-Point UNIVERSAL - Dezod Motorsports Inc - Home of the automotive performance enthusiast since 2002. RaceQuip Sportsman Camlock Harness Sets feature a durable aluminum cam buckle with an activation lever that points downward. The Sportsman cam utilizes a 45˚(right or left) unlatch movement to prevent accidental opening and the precise spring pressure provides a positive feel.